Have you ever been the recipient of a random act of kindness and didn’t pay it forward? Over the weekend, I treated myself to the drive-thru Starbucks. Love the drive-thru. The line of cars was a mile long and I willfully waited because I craved a good cup of coffee. However, I couldn’t help but notice the woman in front of me. She was staring me down in her rear view mirror. Like, really staring me down. No, I didn’t shower. And yes, my hair always looks this way. What’s the problem lady? She PAID for me! What? Crazy lady paid for my coffee! I was shocked. Convinced this was a hoax, the girl at the window assured me that “This happens more often that you think…” (read: now it’s your turn to reciprocate). Why didn’t I pay for the person behind me? Didn’t I hear about the 11 hour pay-it-forward chain at the drive-thru in Florida last month? Well, no. I didn’t. Apparently I live in a cave where contact with the outside world is non-existent because I hide inside and take pictures of food all day. I’m just like customer #379 who broke the Floridian chain. Sad and confused I returned back to my cave, riddled with guilt. Hot coffee in tow. It’s not that I didn’t want to pay-it-forward. My perception was seemingly paralyzed. Even more embarrassing, I only had $2 which covers just about nothing at Starbucks except for a regular coffee with half & half. That’s my jam. So, the following day I went back to the drive-thru. I had a plan. I patiently waited on line; I stared down the vehicle behind me. When I got to the window, I popped my head out like a giraffe and paid for the unsuspecting Honda Pilot. I did it! Pay-it-forward success. That’s the back story behind these muffins. The initial plan for Saturday morning was to bake something. 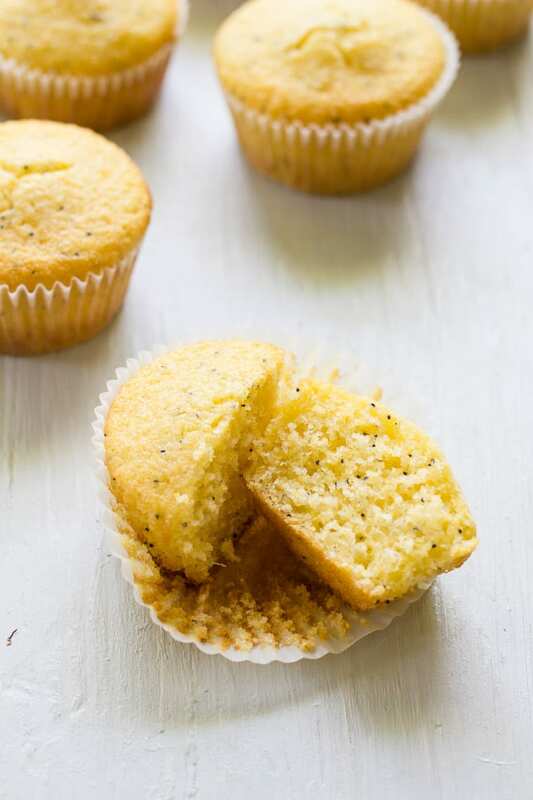 It was a toss up between traditional lemon poppy seed or regular corn muffins. I took a chance and combined the two. 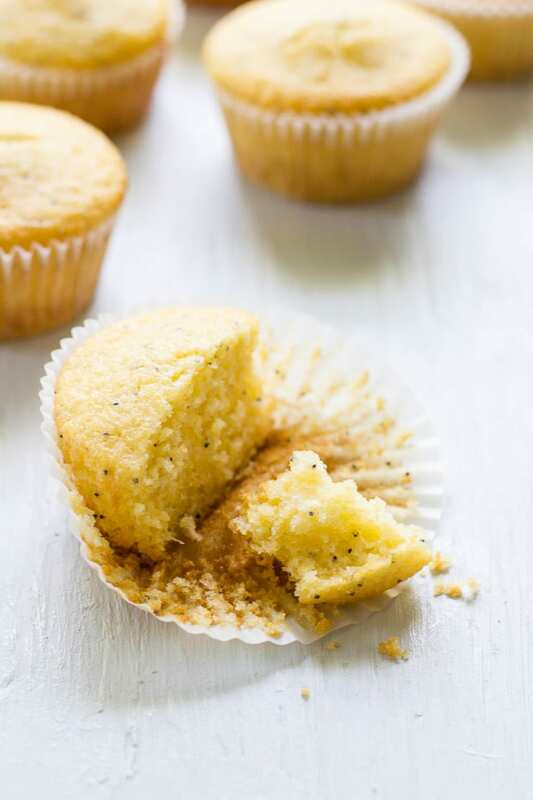 The zest and juice of 1 lemon brightened the flavor, while crunchy poppy seeds echoed the texture of the cornmeal. They’re made with buttermilk too which makes them soft and fluffy. 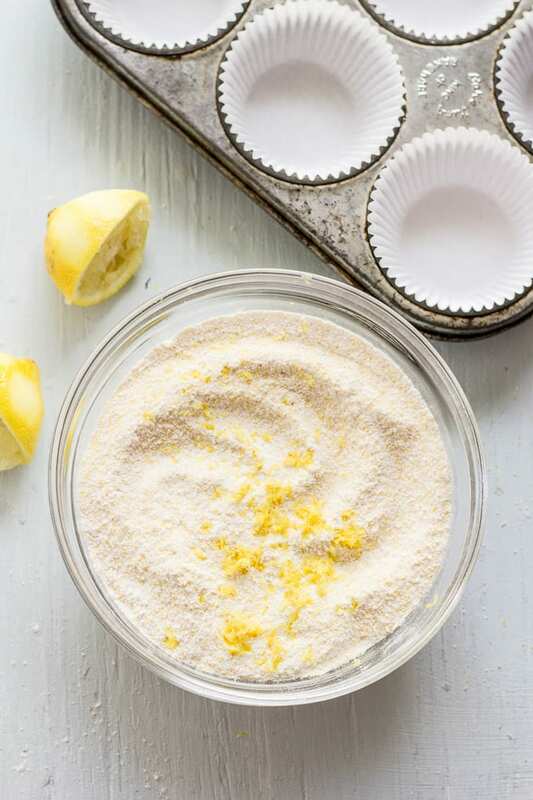 I’m always looking for new ways to get creative with cornmeal. Being a human is awkward. I felt like a fool for not reciprocating. Of course I wanted to do the right thing but it just didn’t happen. Hence my redemption. My sincere redemption. I baked to channel my guilt. I discovered something new. Perfection is flawed, and without fools like myself we would have nothing to learn from. Perhaps customer #379 should read this and put it back into the system, don’t you think? 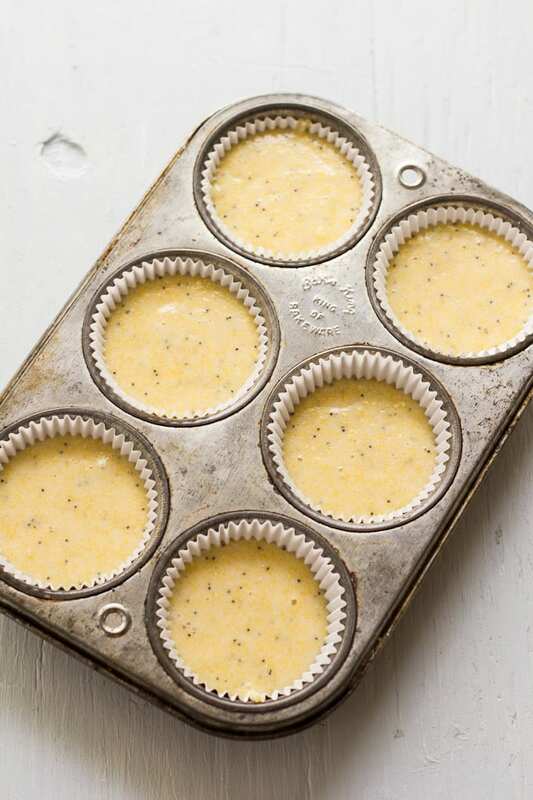 Preheat your oven to 350 F. Line a 12 cup muffin tin with paper cups. 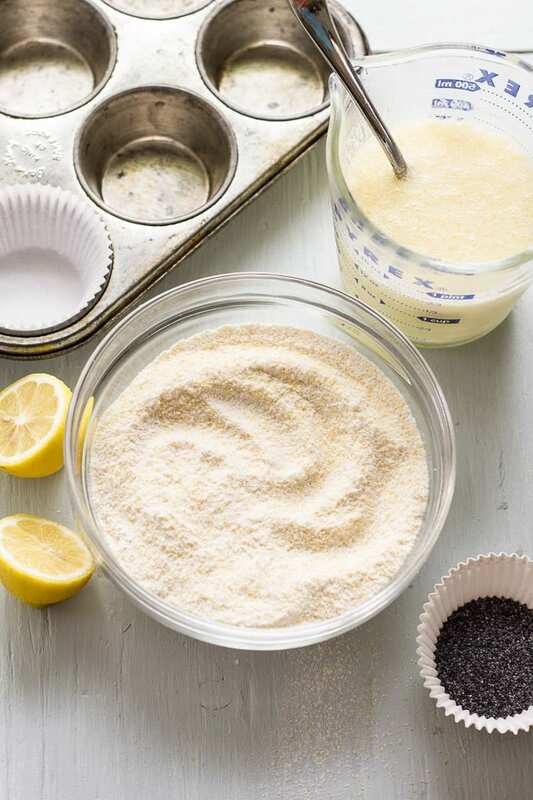 In a large bowl whisk together the dry ingredients; flour, cornmeal, poppy seeds, baking powder, baking soda, and salt. In another bowl mix together the wet ingredients; eggs, oil, sugar, buttermilk and the zest and juice of a lemon. Whisk well to combine. Gently combine the dry and wet ingredients. Spoon the batter into your muffin cups, about ¾ full. You should be able to get 10-12 muffins. Bake for 15-20 minutes, or when a toothpick comes out clean when inserted. Cool inside the tin and then transfer to a wire rack. That’s so funny! And these muffins look awesome! Haha, loved this Emilie! This being human thing is awkward for sure ;-) — I could absolutely see myself doing the same thing — freezing and then feeling horrible about it … you rectified beautifully — you did it!! And these muffins look delightful. 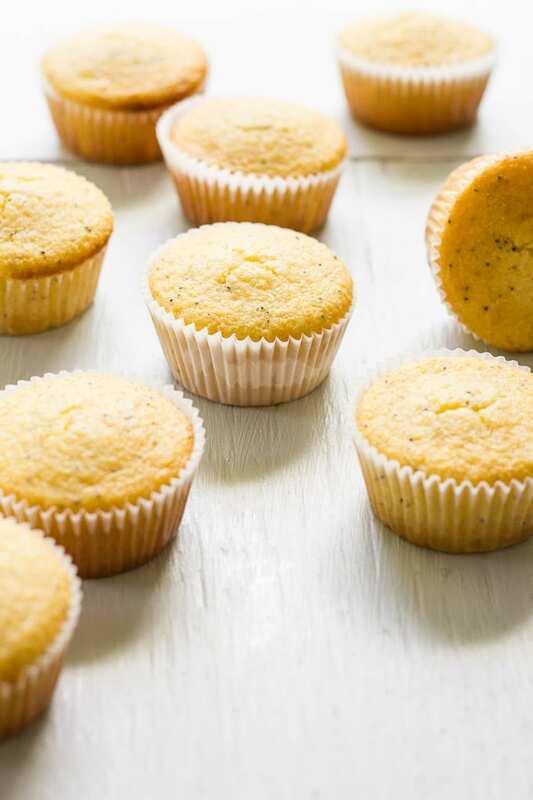 Lemon and poppy seed is just one of those timeless life pleasure combinations ♡. Thank you Kelly. I always feel better when others share the same awkwardness as it makes you feel more human you know? Putting it back in the system felt incredibly satisfying. Not because I had to, but because I wanted to. Surprising a complete stranger made my day. I hope it made hers too! Nice muffins – thank you. Stunning, stunning! I love these photos. 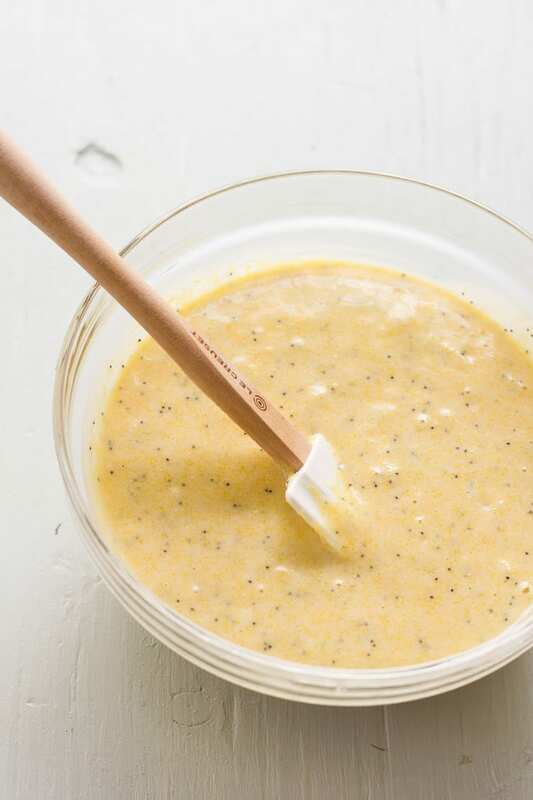 And adding cornmeal to lemon poppyseed? Genius. Must make! The pay it forward thing at Starbucks is definitely a thing! My friend does it all the time. Glad you got in on that good will! What a funny story! A few years back our church had a “Random Acts of Kindness” Novemember where we tried to unexpectedly bless people. In addition to the pay it forward at Starbucks, one of the things we did was head to a neighborhood with rakes and brooms, and then ask people if we could rake their leaves and clean up their yards. You should have seen some of their faces! Some graciously thanked us and said yes. Others shut their door in our faces. The really fun ones were when no one was home and we cleaned their yard anyway. Imagine their surprise when they returned! This post made me laugh my head off! yes, humans are awkward and how funny like non-humans we freeze like a deer in headlights. For a minute I thought you were going to give that Starbucks person some lemon poppy muffins! Great story, and I want the muffins. They look wonderful! Being a human is awkward, that could be my mantra, thanks for putting it into words for me! 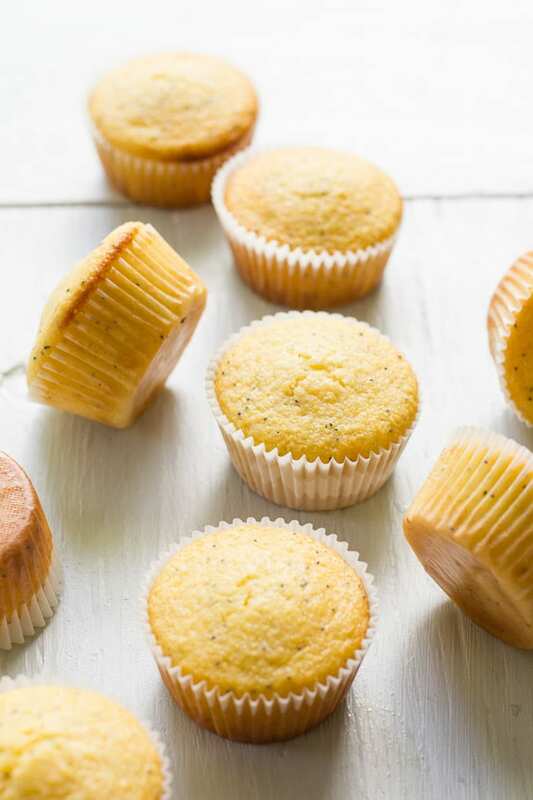 I love your whole story, adorable AND I love ALL things corn and lemons and since my daughter has been begging me to make lemon poppy seed muffins for oh, I don’t know how long…this recipe sounds perfect! Off to bake up a batch right now. Aww I love the idea of paying forward and your story is so funny and sweet! 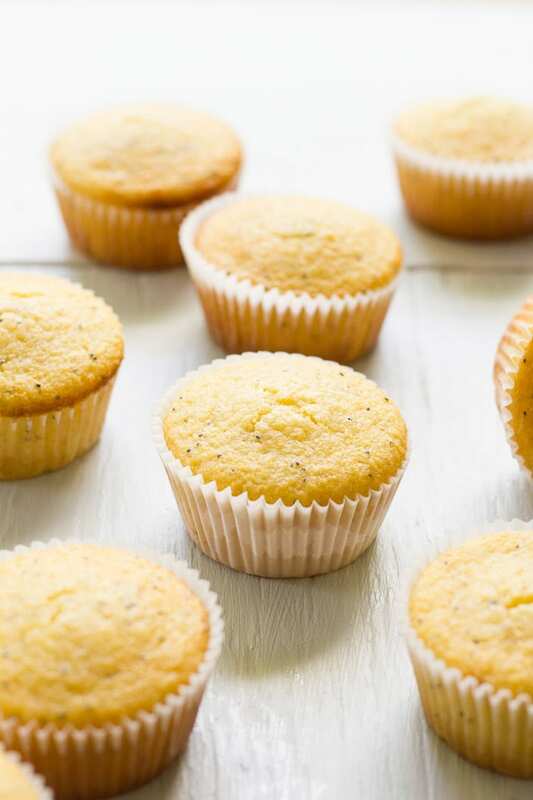 These poppyseed muffin sound and look fabulous! Haha! I love that story and this could totally happen to me. I’m guessing it’s because you don’t have a “script” for these kind of situations and you often question your initial reaction afterwards. At least, that’s what happens to me. BTW, stand out muffins. Love lemon/poppyseed combo. Right up there with orange/poppyseed combo. Ahhh decisions. Also, “like a giraffe” made me laugh out loud for real. As a short person, my whole upper body tends to pop out like a gopher. 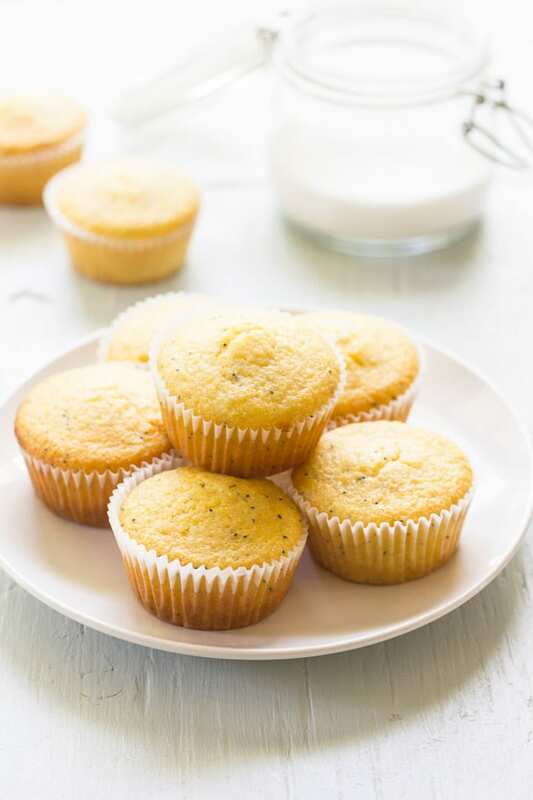 I m not able to decide what did I liked most…your amazingly ‘human’ story or the yummy muffins.. can’t wait to try this recipe..
can I substitute flour to some other gluten-free flour..
Hi Ashish! Thanks so much ;) To answer your questions, I’ve never made this recipe without eggs, so I’m unable to advise on a proper substitute. However, you can certainly make this gluten free. I recommend King Arthur’s Measure for Measure flour. It’s fantastic and the results are excellent.